[toc]Tension headaches are caused by elevated stress levels. Exposure to psychological and physiological stressors can take a toll on you. Tension headaches require medical attention but herbs can also be used alongside to make the problem go away. 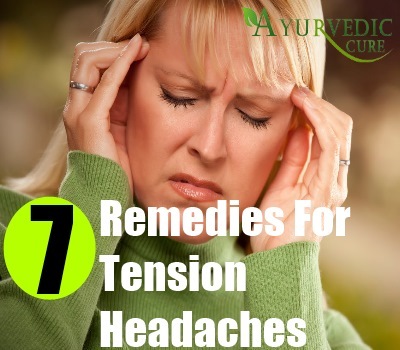 Herbal remedies which can cure tension headaches include Chinese Skullcap, Mullein, Lavender, Valerian, Gingko Biloba, Ginseng, Elderflower, Vervain, Feverfew and Chamomile. Some of these herbs are adaptogens which reduce the impact of stress on the body and help to ease the tension causing the headaches. Other herbs are relaxants which soothe tense muscles and ease the headache. Herbal remedies should only be used under medical supervision, especially if you are already taking medication. This article explores some of the top herbal remedies for tension headaches. Lavandula Angustifolia is the Latin or botanical name of this herb. Lavender oil has been used for soothing the body and calming the mind since ancient times. The pleasant and fragrant aroma of this herb also makes it good for aromatherapy. You can heat Lavender oil and apply this on your forehead and temples for soothing the head and relieving the tension of the muscles. Lavender oil is a relaxant. 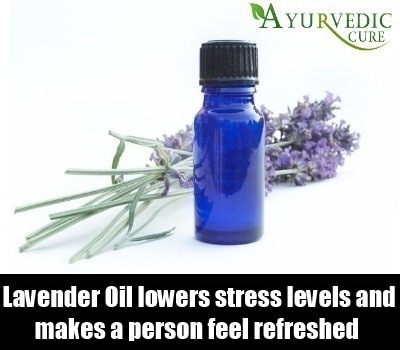 It also lowers stress levels and makes a person feel refreshed and revitalized. Massaging Lavender oil onto your body also helps to counter tensions and worries. You can also inhale steam from a vaporizer containing hot water and a few drops of Lavender oil for easing tension headaches. This herb has been used as a remedy since olden days by Chinese people. It is a well known herb in traditional Chinese medicine. Gingko Biloba works to relieve tension headaches by improving the circulation of the body. As blood flow to the brain improves and the body experiences a rise in energy levels, the tension headache begins to abate. 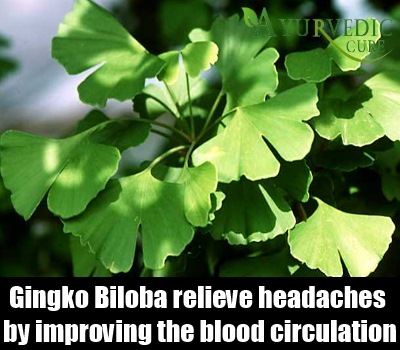 Gingko Biloba is also used to cure migraine headaches because of its role in regulating platelet activating factors which cause such headaches. Gingko Biloba can be taken in the form of an extract for best results. Supplements comprising this herb can also be ingested for quick relief from tension headaches. Valeriana Officinalis is the botanical name of this herb. Valerian is an adaptogen which moderates the body’s responses to physical and emotional stressors. It is because of this that the herb is a good cure for tension headaches caused by excessive levels of stress. This herb is also a natural anti-spasmodic which gives it the ability to ward off tension headaches. Valerian is a sedative which works as effectively as medication such as Valium an Xanax in relaxing the body and easing mental agitation. 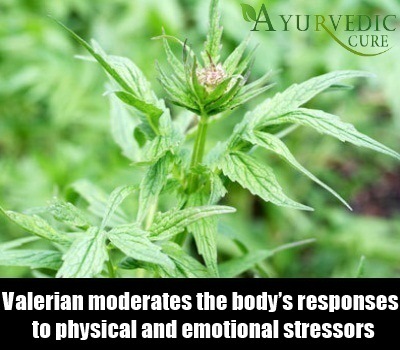 It is therefore a great herbal remedy for eliminating tense muscles and tension related headaches. Valerian root extract should be taken by person suffering from tension headaches to ensure speedy relief from this problem. Chamomile is known botanically as Matricaria Recutita. This herb is also a nervine herb which possess adaptogenic properties. 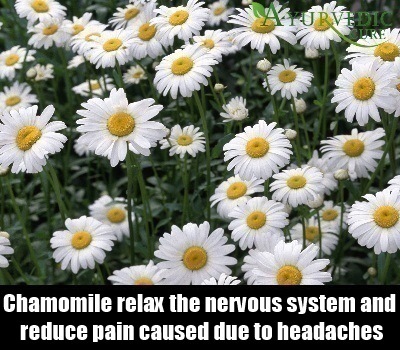 Chamomile is known for its ability to relax the nervous system and reduce pain caused due to tension headaches. This herb is generally consumed in the form of tea. You can brew tea from the dried leaves of this herb. Chamomile teabags are also available in health stores. This herbal tea should be consumed at least thrice daily to ensure that the body relaxes and the person is able to fend off tension headaches. Chamomile is a natural sedative which mediates the body’s reaction to stressors. You should avoid this herb if you are nursing, pregnant or allergic to flowers such as Rag Weed, Asters and Chrysanthemums. Known by the scientific name Scutellaria Lateriflora, Chinese or Baikal Skullcap has many curative properties. This herb is also called Helmet Flower because of the shape of its blooms. Other names of this herb are Quaker Bonnet and Blue Pimpernel. Chinese Skullcap is a muscle relaxant with anti-spasmodic properties. It contains substances like baicalin which initiate anxiety and stress relieving mechanisms in the human body. 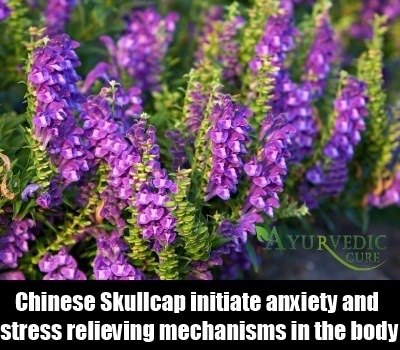 Consequently, Chinese Skullcap is a good herbal remedy for tension headaches. Boil the root of this herb in hot water for about 25 minutes. Then, dip a compress into the water and apply it on your head for relief from the headache. Chinese Skullcap extract can also be taken in extract form internally for beneficial outcomes. This herb is also referred to as Verbena Officinalis by botanists. Its other names are Devil’s Bane, Tears of Isis, Pigeon’s Grass and Holy Herb. This herb is also a sedative which relaxes and calms the person. When a person is experiencing tension headaches due to high levels of stress, this is an ideal herbal remedy to use. 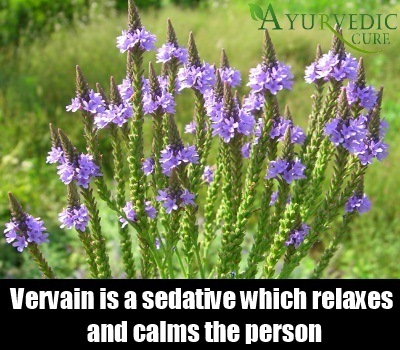 Vervain relaxes the tense muscles of the head and neck thereby playing a crucial role in the elimination of tension headaches. About 4 to 5 grams of the dried leaves of Vervain can be added to boiling water. The mixture should be allowed to steep for about 25 minute and the liquid from the top of the boiling vessel should be strained. The strained liquid should be consumed regularly for getting rid of tension headaches. You can even take this herb in capsule form. The adult dosage of this herb in tablet form is usually 500 milligrams. Do consult an herbalist for the proper dosage for this herb. Tanacetum Parthenium is the botanical name given to this herb. It is also called Bachelor’s Buttons. Another name for this herb is Midsummer Daisy. This herb is an excellent remedy for treating tension headaches. 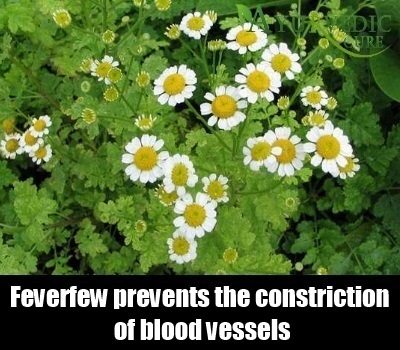 Feverfew inhibits the generation of certain chemical compounds that cause tension headaches. It also prevents the constriction of blood vessels thereby relieving tension headaches caused due to high blood pressure brought on by stress. A substance present in this herb called parthenolide impacts the intensity of the headaches and reduce its duration. This herb is is available as an extract or in the form of capsules and tincture. Fresh leaves of this herb can be chewed as well for ensuring elimination of tension headaches. Do ensure that you avoid this remedy if you are pregnant or on blood thinning medication.